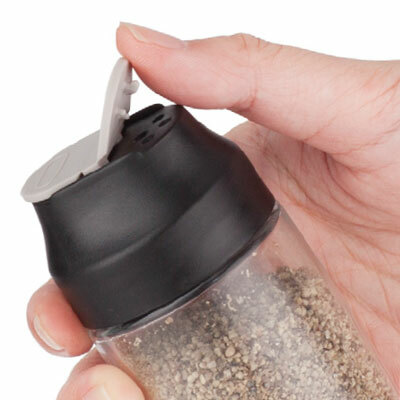 Our new spice jars feature a one-flick choice of a sprinkle or a pour. 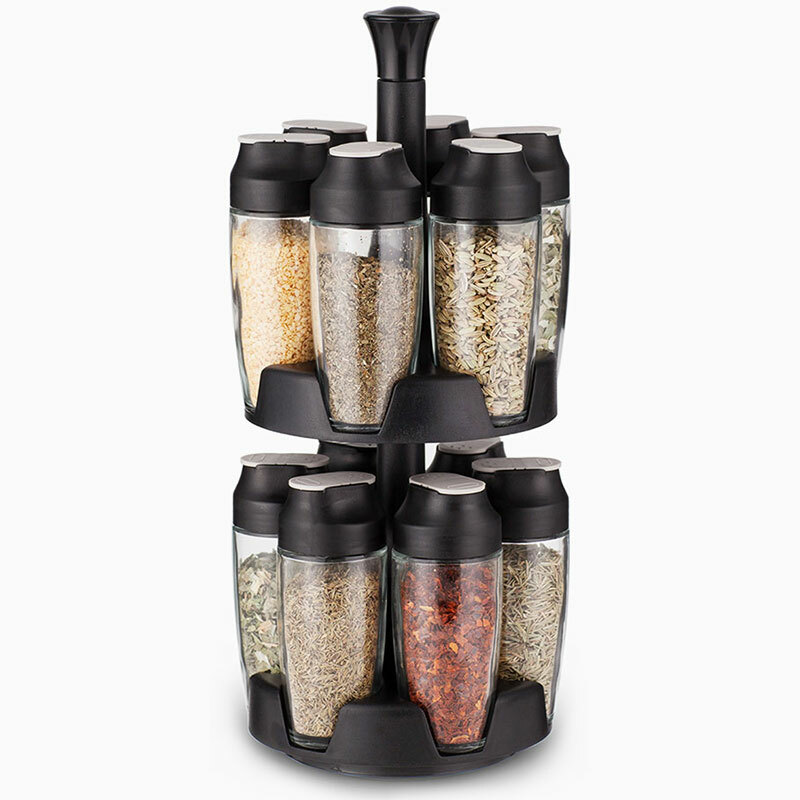 The Flick 6 comes with its own rotating 6-jar spice rack, stylish enough for your kitchen or table. 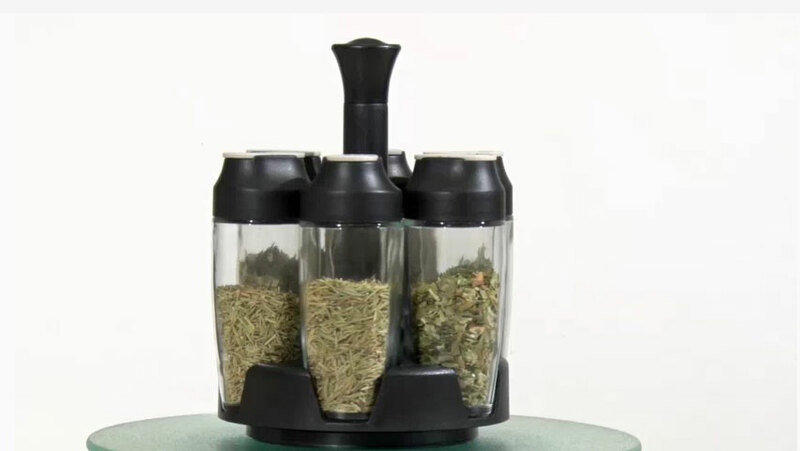 The Flick 12 also rotates, but holds 12 jars. 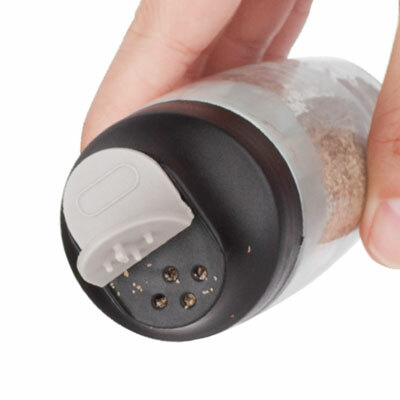 One-flick choice for a sprinkle or a pour. Choice of 6-jar or 12-jar rotating rack.